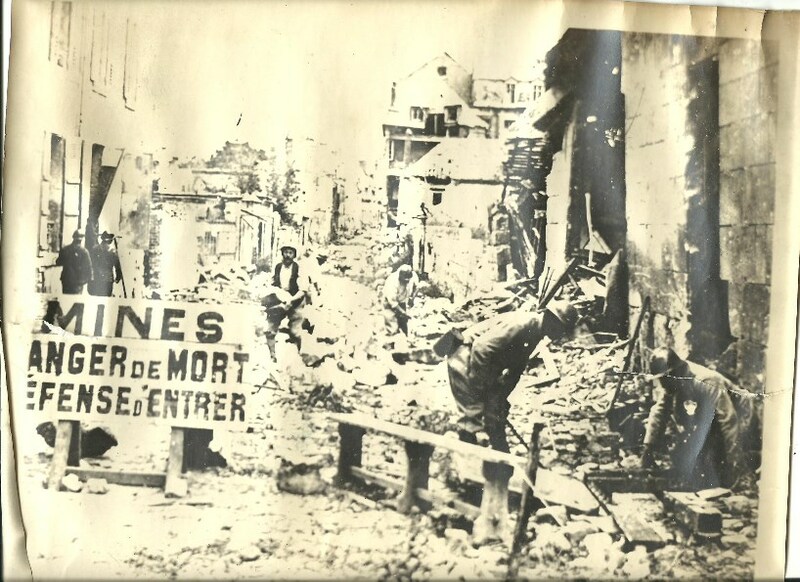 The British Expeditionary force is dying at the rate of two thousand men per day along the Aisne, where the Imperial German Army has entrenched itself deep in French soil. Allied frontal attacks on these German lines have been repulsed with heavy losses for three days, so today the combatants begin trying to outflank one another along a north-south line between the German right flank position at Noyon and the Belgian coastal city of Nieuport (see above). 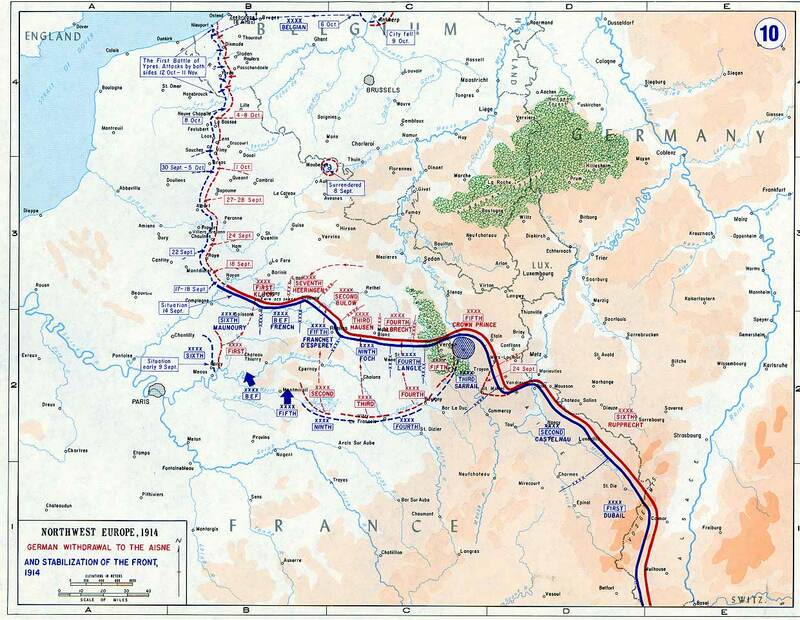 Ending within two weeks, it is the last significant maneuver by any army on the Western Front until 1918. 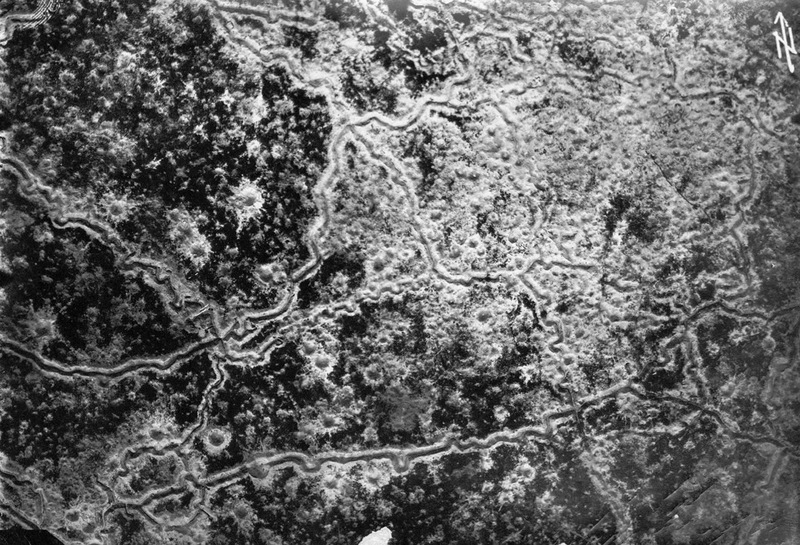 Assuming the shape of a large ‘S’ across the north of France, a vast network of interconnected and redundant trenches soon takes shape, but it never remains quite steady, writhing across the landscape in bloody spasms of battle that leave the ground torn beyond recognition. 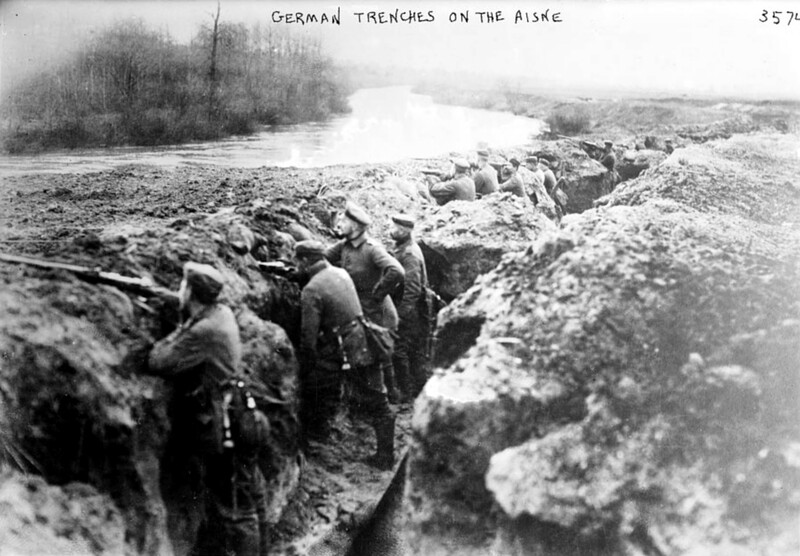 ‘Digging trenches’ is not simply a phase of the war, or a job that is ever actually done, but a continuous campaign against weather and the entropy of active battlefields. All of these armies share one crucial problem in these days: lack of shells. Germany has used up her pre-war stocks, and her artillerymen are unhappy with the quality of the hastily-manufactured replacement ammunition now arriving at the lines. Britain has just realized the emergency, and stands to be reduced to just two shells a day per gun unless production ramps up fast. France, whose best iron mines and steelworks now lie in German hands, faces the starkest challenge on this score. The Western Front is shaped as much by French choices as German ones. 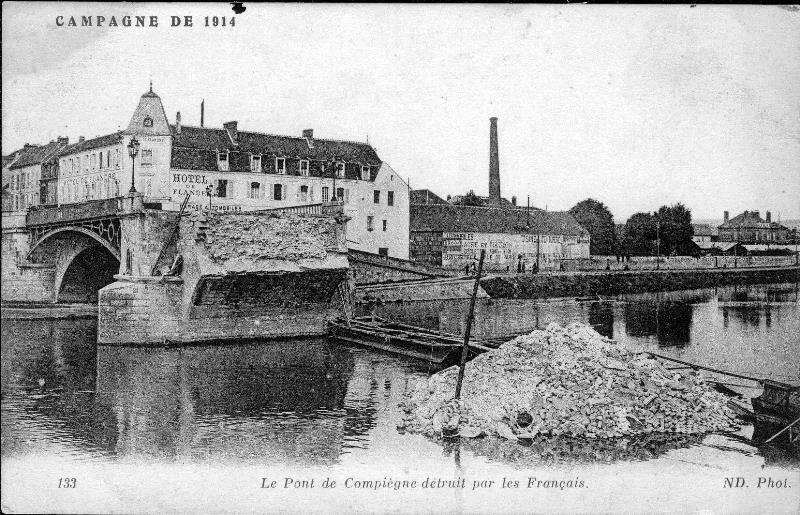 Fighting near Noyen today finds the most important bridges already demolished by the retreating French army in a bid to slow the invaders’ progress through the Paris Basin. Thus begins an ironic and sometimes-farcical story of the war in which France builds temporary replacements for blown bridges, then blows them up again in the face of German advances, then replaces them again upon liberation of the crossings — a cycle which sometimes repeats itself. There are other ironies to these days which, if they were heeded, might save much frustration later: cavalrymen suddenly beg to be equipped with bayonets because they unexpectedly keep fighting dismounted. 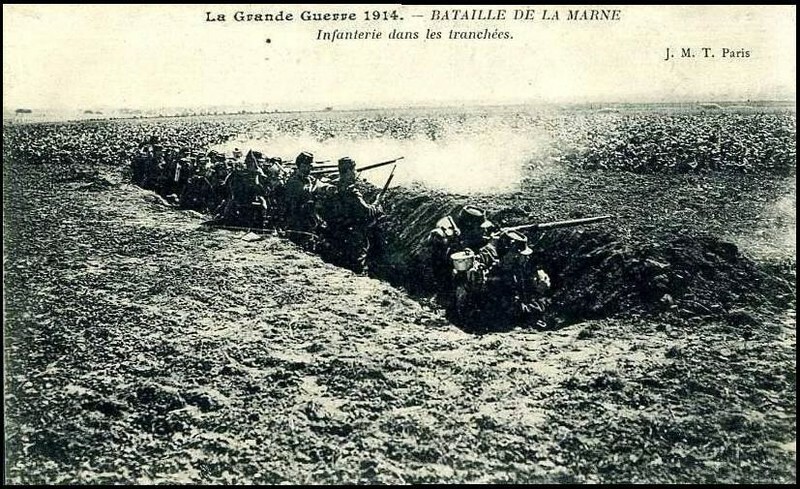 French gunners must dig holes for the towing ends of their 75 millimeter guns in order to elevate the barrels for better use against men in trenches. The despised French reserve ‘Territorial’ units are under-trained and -equipped, but unexpectedly prove just as courageous as their active-duty colleagues. Perhaps the most important innovation at this time, however, is that British pilots start trying to mount radios in their planes. They have already begun dropping flares over important targets, allowing artillery spotters to hit enemies they do no see, but now pilots will be able to correct the aim of the guns with devastating effect. Everyone on the ground already understands the potential danger represented by aircraft, which is why everyone who spots an airplane panics and begins shooting at it immediately. Pilots on both sides are already being killed by friendly fire from the ground. For Germany, the Race to the Sea is a matter of finishing off Belgium and getting their follow-on troop formations forward quickly. Unlike the French rails, however, Belgian railroads are not aligned to the direction of the German armies’ movement, so despite having the interior position they fail to win this ‘race’ with the allies. For Britain, the Race to the Sea is an opportunity to redeploy to the coastline, where her troops have the shortest possible lines of supply across the English Channel. This maneuver takes place with the expectation of another swift war of movement in Belgium, but instead it grinds to another halt as men once again dig in for cover against shellfire. 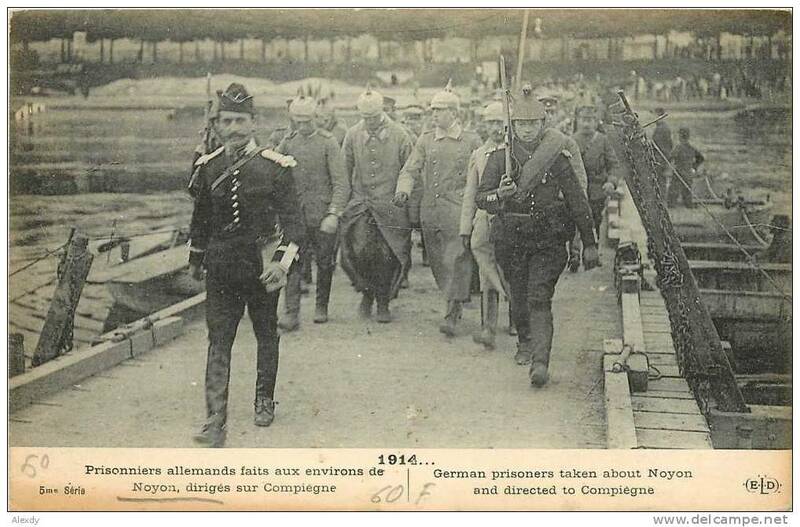 Belgium has tried two sorties from Antwerp that failed to break the German siege. For her troops who choose to fight on, the Race to the Sea is a sad retreat to the last free corner of their country, where they will spend four years fighting the invader. But for France, the Race to the Sea is a disaster. Having begun the war on the offensive, she has experienced the bloodiest defeats of the war while trying to bring the German foe to a swift decision at the point of a bayonet. Now her industrial northern provinces are in enemy hands while the war turns into a stalemate for which none of these powers has laid any plans at all.